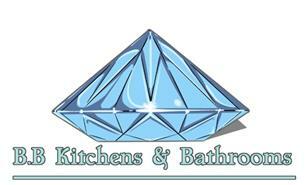 BB Kitchens & Bathrooms - Bathrooms, Kitchens, Plumber based in Waterlooville, Hampshire. Hi and welcome to BB Kitchens & Bathrooms. My name is Bill and I’ve been a plumber for over 8 years. I moved out to Spain and worked for a few companies building up my knowledge as a plumber/tiller bathroom fitter etc came back to the UK and carried on working for different companies acquiring as much knowledge as I could not just in the plumbing industry some of it carpentry and general building but keeping my passion for plumbing. I am a sole trader and have been trading for two years now with a steady work load. What I can provide for you the customer, first and foremost Plumbing, from a leaking tap to a blocked sink or toilet we offer a 24hr service 5 days a week. Fitted bathrooms from start to finish we can provide a detailed estimate along with cad drawings so you know exactly what your new suite will look like before the old one is removed and prepped for new installation from first fix to second we do it all including tilling floors and walls. We also offer the same for kitchen installs. Everything we do is to your choice and satisfaction we pride ourselves on making sure the customer is without a doubt fully satisfied with the products we use and the costs involved as well as time scale. So if you’re looking for a little spruce up of some old sanitary where or you’ve decided to have a complete makeover of your bathroom or kitchen give us a call and we will be in touch to arrange a free estimate as well as this we will provide you with some catalogues for you to look over at your pace. we now offer a painting and decorating service. Bishops Waltham, Droxford, East meon, Fareham, gosport., Hayling Island, Portsmouth, Southsea, swanmoore, Waterlooville, West meon.